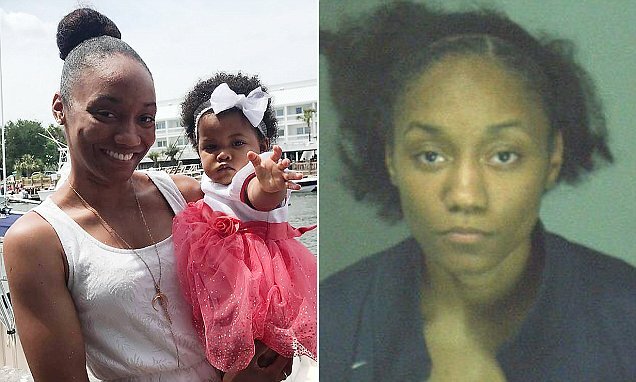 How Dijanelle Fowler a Georgia mother caused her baby girl to die after leaving her in a hot car for 6 hours while she got her hair done, only to then fake timeline of death. 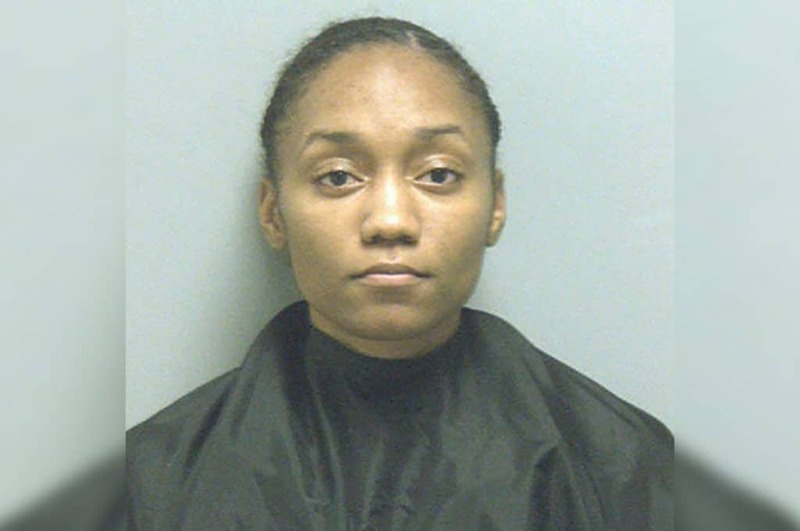 Dijanelle Etta Fowler a 25 year old Dekalb, Georgia mother has been arrested after she left her one year old daughter in a hot car for six hours while she got her hair done. 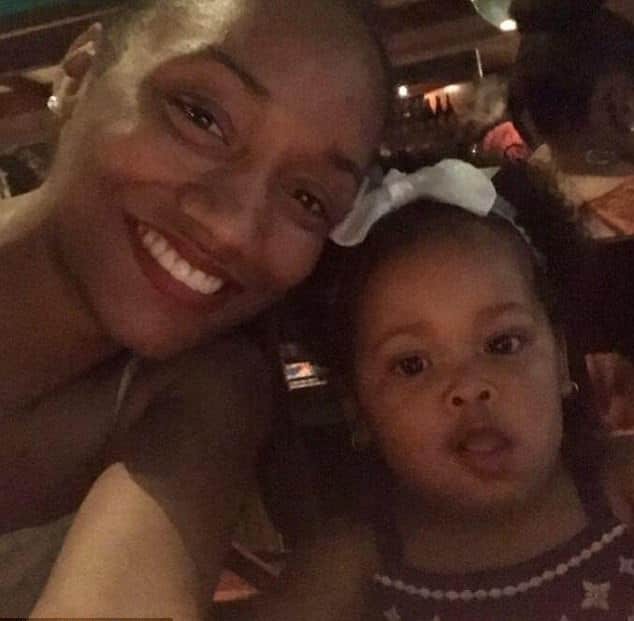 Cops say Fowler arrived for her hair appointment in Tucker, Georgia at 10.04am on June 15, and left her one-year-old daughter Skylar Fowler in the car with the air conditioning on. But soon after she entered the salon, the car died and baby Skylar was left to bake in the hot vehicle for six hours without her mother going to check in on her once. It wasn’t until 4pm that afternoon that surveillance video showed Dijanelle Fowler returning to her car. Instead of notifying police of her daughter’s death, Fowler instead retrieved the help of a man at the salon to help her restart the car reported the Atlanta Journal-Constitution . Police believe that at this point, Fowler’s daughter was dead, and that the mother likely hiding the child’s body from the man with clothes she had in the car. Fowler texted the child’s godfather about an hour later — telling him that she was heading to an urgent care facility for headaches. Records show Fowler having searched the internet for signs of having a seizure around the same time. Fowler arrived at the hospital a short time later and dialed 911. She didn’t mention her daughter, however, and said she was having a ‘seizure of some kind,‘ a detective wrote in a warrant. Police believe Fowler then drove to Emory University Hospital, where she called 911 from a parking garage around 4.54pm, reporting an unconscious woman. It would be then that Fowler who claimed having had a seizure that her child had died while she was unconscious. But it didn’t add up. A medical examiner later determined that Skylar had been dead for much longer along with other inconsistencies in Fowler’s story. Police were finally able to come up with the correct timeline by reviewing surveillance footage and Fowler’s Google searches. Pictured, Dekalb, Georgia mother, Dijanelle Fowler. Police bookings photo. In early July, investigators had enough to arrest Fowler, but by then the woman had fled town. They say she traveled to South Carolina, New Jersey and Florida before turning herself into authorities on Monday. 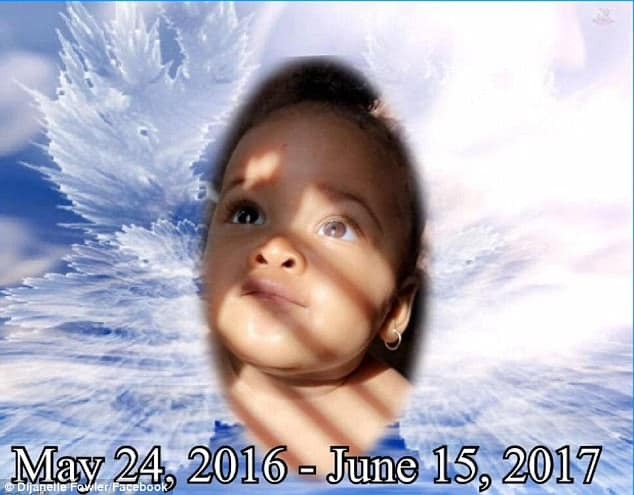 Upon her arrest, WAGA reported the mother was charged with second-degree murder, second-degree cruelty to children and concealing death. Fowler is being held without bond at the Dekalb County Jail. Because investigators believe that Fowler did not mean to kill her daughter, she’s only being charged with second-degree murder, and not first-degree murder. 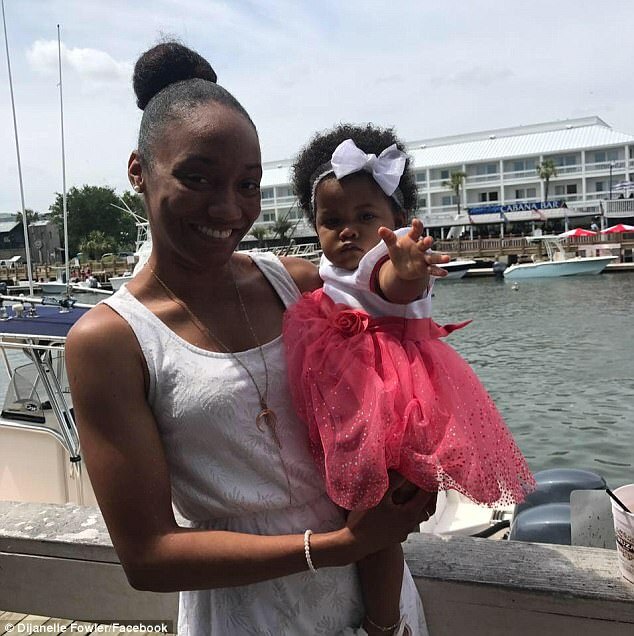 According to baby Skylar’s obituary, she was from Charleston, South Carolina and is survived by her parents, Louis R. Williams II and Fowler.